After the publication of AS (ROP) Rules, 2017 different Associations raised objection on different recommendations of 7th Assam Pay and Productivity pay Commission. Considering the grievances of the employees and to examine anomalies, if any in the recommendation of 7th Assam Pay and Productivity pay Commission, the Govt of Assam has constituted a Pay Anomaly Committee under the Chairmanship of Sri P.K. Dutta, IAS (Rtd) .The Committee has submitted its report to Govt on 30/12/2017. 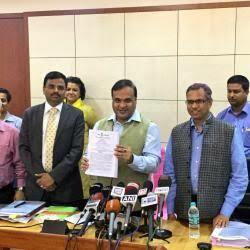 On 05th June, 2018 Finance Minister Dr. Himanta Biswa Sarma declared the key point of the Anlomaly Report before the media person.